At long last we're pleased to announce Emby Server 4.0. This new release will begin rolling out over the next 24 hours, so please be patient. This has been our longest release period ever, and going forward we intend to get back to a more frequent release schedule. This release is packed with improved performance, updates to existing features, as well as several brand new features. After installing the update, the server will begin a database upgrade operation. If you attempt to open the web app during this time, you'll be given a friendly message informing you about this. This operation could take a little time, so please be patient with it. After this is complete, any plugins you may have installed will require updates, so please check the status of this on your server dashboard. If any plugins are updated, remember that Emby Server will need to be restarted. After all updates have been applied, we recommend that you run a library scan. The first scan following the update could take longer than usual, so please be patient. With that out of the way, let's go over the highlights of this release. If you're wondering why the anonymous usage reporting setting has been removed, it's because not only have we removed the setting, but we've removed the function altogether. We know our audience pretty well thanks to this community, and because of that we've decided we no longed need any data reporting. As previously announced, Live TV Guide Data is Now Included with Emby Premiere, if you're in the USA, Canada, or the UK. What does this mean? This means if you're in the USA, Canada or UK, you'll no longer need to setup an account with another website nor pay someone else for this data. You'll simply enter your zip code into Emby, select your channel lineup, and we'll handle retrieving your guide data. We believe this will provide a better experience for Emby users with fewer setup steps. The new data is also quite a bit richer, and we will be looking at how we can take advantage of that to bring new Live TV features to Emby. Going forward, Live TV will require Emby Premiere in the web app, where previously this was not the case. If you are setting up the server fresh, then you should use our new Emby guide provider, which will be the default. If you are already using Schedules Direct, then you can continue to use it through the remainder of your Schedules Direct subscription. Schedules Direct has pledged to continue to honor your subscriptions, and we thank them for that. A database re-structuring brings your Emby Server and apps to new levels of performance that were previously not possible. Screens will load faster, videos will start quicker, and more. This will also manifest itself in other areas, such as improved library scan performance, and faster live tv guide refreshes. Please Note: The first scan after the update may take quite a while depending on your library contents and exactly what features you have enabled. Please be patient as subsequent scans will be much faster. 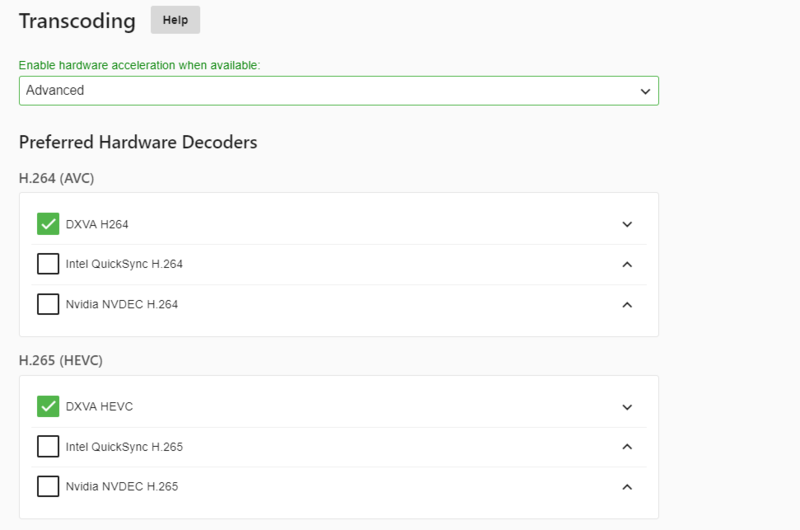 Our hardware transcoding has been rewritten to take better advantage of each of the major GPU platforms, whether it be QuickSync, Nvidia, DXVA, VAAPI, MediaCodec, or others. This will allow hardware transcoding performance to perform better than ever. Best of all, you can now monitor this on the server dashboard. The green bar indicates the current playback position while the orange bar designates the range that has been transcoded so far. Important: Hardware acceleration has been truly a major effort for us, and because of this, it will now require Emby Premiere on all platforms except for Nvidia Shield and Western Digital. This feature has returned after a two year hiatus and is better than ever. 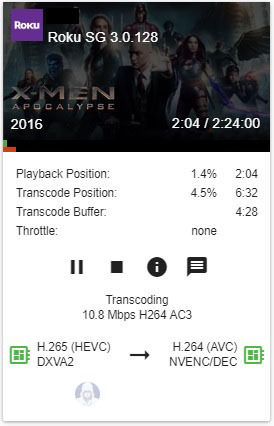 What is transcoding throttling? 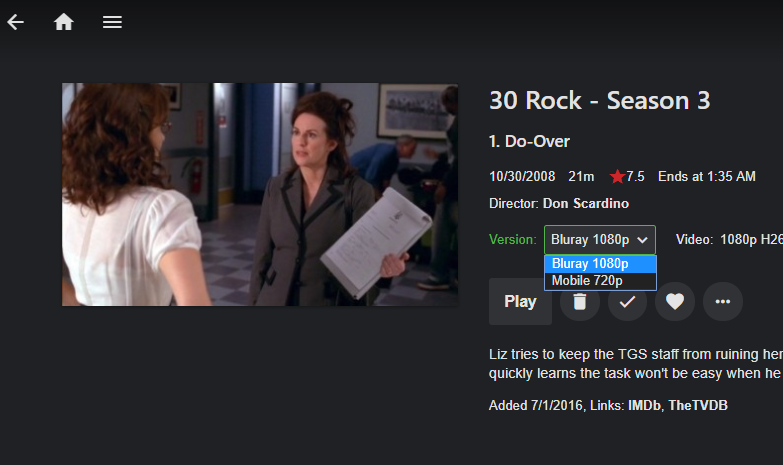 Sometimes your server can transcode content much quicker than you're actually watching it. When the transcoding process gets a big enough lead on your watching position, we can slow it down on the fly in order to reduce the load on your server. Then as you're watching, if we need to speed it back up, we can do that too. Stay tuned for separate announcements. Search is now faster and now supports fuzzy search! This means you don't need to type your searches perfectly in order to see the matches you're looking for. For example, if you accidentally enter "Bad Breaking", instead of "Breaking Bad", you'll still be able to see Breaking Bad in the results. 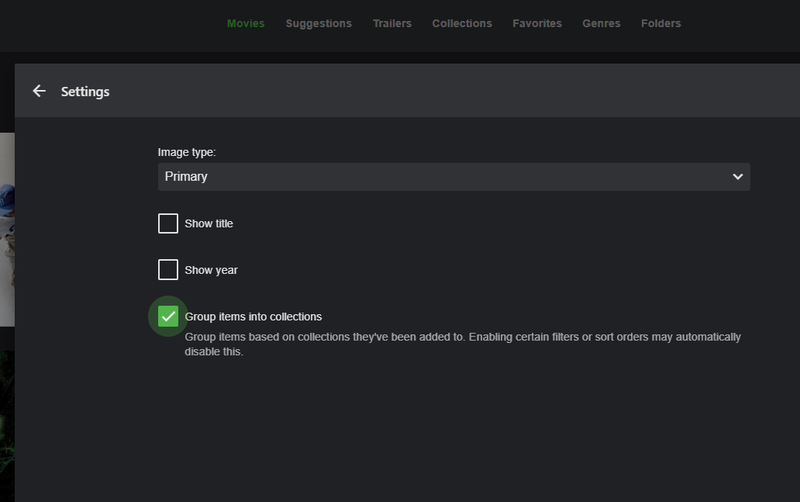 This has now been moved from a server setting to directly onto the Movies list screen where it can be easily toggled. 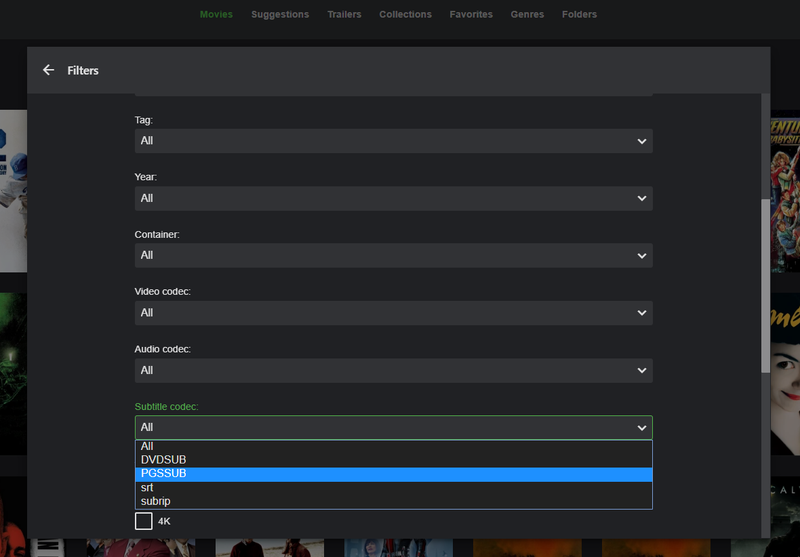 You can now filter on more fields such as container, video codec, audio codec, subtitle codec, and more. This filters are also remembered ! User library access can now be controlled for sub-folders, providing you with even greater flexibility than before. This more fine-grained access control replaces the previous user-preference-based "Merged" libraries that were supported before 4.0. If you have used merged libraries please see New Folder-based Access Control to learn how to setup the same basic functionality with this new feature. Add network browsing to directory picker for Linux, Android and MacOS. Finally!, can wait to test it!, thank you for taking into account my reports and suggestions!. Cool! Great timing. right in the middle of rebuilding/upgrading my friends emby server. Wish I could download it now. 3.5.3 still downloads from website. Hey @Luke anyway to get the 4.0 version today? Don't mean to be impatient, just great timing! Waiting for the official announce stating that Emby is going closed source; so to clarify things. Will the emby premiere lifetime subscription be valid from 3.x to 4.x? Or do we need to pay for a new lifetime subscription? Awesome, Looking forward to this. Maybe now the yTrailers plugin will work also. So people in Australia don't get the new live tv features ? really ? we have had nothing for so long now. The update isn't even out yet. Maybe let them get things working and stable first? Never even got the 3.6 update, or was it just skipped alltogether? 3.6 was in the beta releases, but the devs decided to bump the version number to 4.0.0.x IIRC. With all the hype about moving to a new guide provider you would think people in Australia might have finally been able to have some. Wow, this is awesome, I've been on the betas for a while and they been really stable as well! Any chance for multiple versions of a film, like with Tv episodes? I have a lot of the same movies in 4k and 1080p. You can do this now. Check out the Wiki Page under Multi-Version Movies for the naming conventions. Hi Luke, Congratulations on the improvements you've made, I can not wait to get you started. But a question, about the issue of simultaneous access by the user, was this change made ?? I ask this, because it would improve the flow in the processor, since the same user would not access several screens at the same time with the same account. Closed source - wait, what? Ohh boy... Is this project trying to f*ck itself up or what is up their mind closing it down? I'm currently on beta 4.0.0.1, how should I go about going to 4.0 stable? 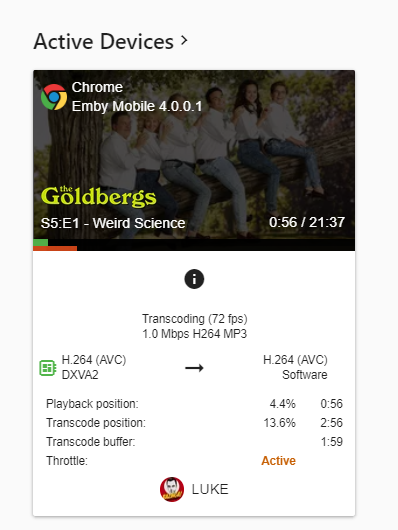 Also don't forget to read closely this blog post: "Hardware acceleration has been truly a major effort for us, and because of this, it will now require Emby Premiere on all platforms except for Nvidia Shield and Western Digital." Not saying it is good or bad (even though I think this is the worst idea), it's a **MAJOR** change in this project. I hope android TV emby client also gets new stable with new server release?